We open weekdays from 07.30 until 18.00 for 51 weeks of the year. 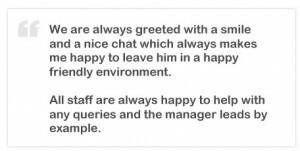 We offer a flexible approach with regard to sessions and can accommodate parents who work shifts. 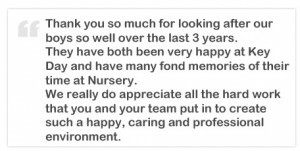 Within the nursery there are 3 separate units: babies, toddlers and pre-school all accommodated within a specially adapted building. 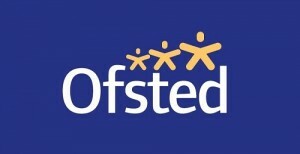 If parents book a whole week of Full Day Sessions we discount the monthly invoice by £5.00 per week. We have a private car park at the rear of the building. Security and safety are of prime importance with features including staff only controlled entry system and security cards for each child. 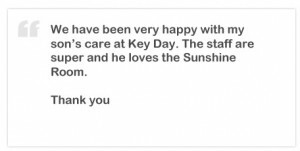 Here at Key Day the children are cared for in a warm, welcoming and stimulating environment where they can thrive, both with regard to their welfare and their learning. 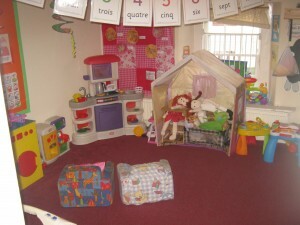 In each unit children are able to access age appropriate toys to stimulate play and development. 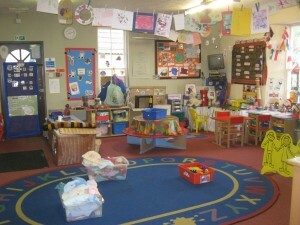 The children’s health and well being are always promoted within the nursery. 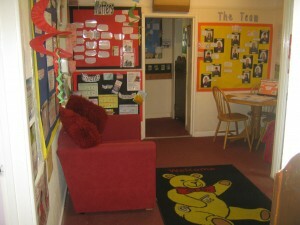 We have expanded our outdoor area in the Front Garden which the children can access easily and play in daily. 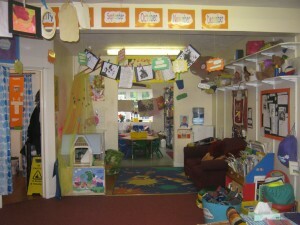 We also have areas where the children can grow vegetables and explore different sensory experiences. We provide healthy snacks in both the morning and afternoon. This includes milk, water and fresh fruit every day. Nappies and wipes are also included in the fees. We encourage parents to bring in healthy lunchboxes for their children. We are also able to reheat food for your child at mealtimes. All children qualify for Free Entitlement Funding from the Government in the term after their third birthday.